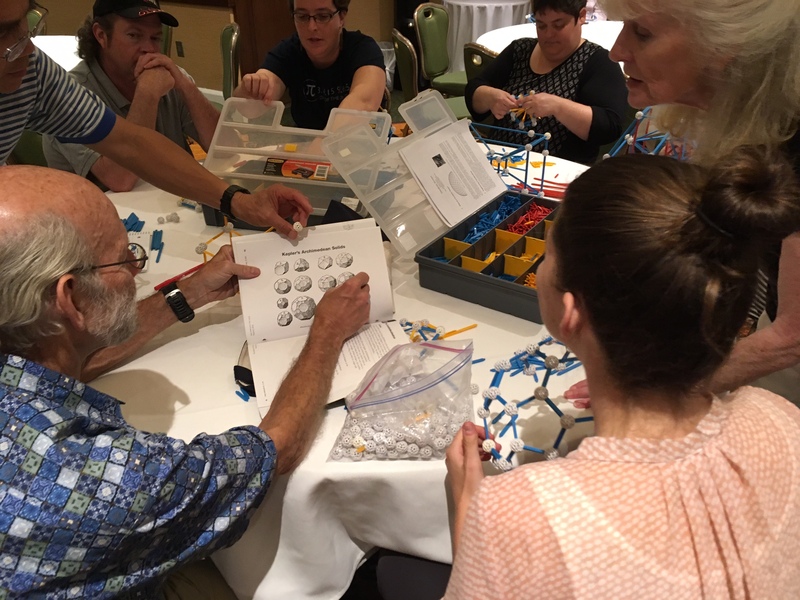 Bay Area Teachers and Mathematicians offers a free residential summer workshop for math teachers in the San Francisco Bay Area. Spend a week immersed in fun mathematical problem solving, share classroom experience, and make connections with local teachers and mathematicians! We offer workshops for new members and teacher leaders. The focus is on grades 4-12 math teachers from Bay Area public or private schools. However, we encourage all interested teachers and pre-service teachers to apply. This workshop is for new members of the BATMath Math Teachers’ Circles (i.e., you have not previously attended a residential summer workshop at AIM or Berkeley.) Up to 30 participants are chosen based on their degree of interest in becoming engaged in a community of problem solvers and bringing the culture of problem solving to their classrooms. The workshop will take place July 8-12, 2019, at the American Institute of Mathematics (AIM) in San Jose, California. The workshop hours are 9 am to 5 pm on Monday through Thursday, and 9 am to 12 pm on Friday. Participants are lodged in the nearby DoubleTree Hotel during the workshop. It’s free! All workshop participants receive funding for meals and accommodations during the workshop. During this five-day (27-hour) workshop, teachers will be busy doing math throughout the morning, afternoon, and into the evening! Professional mathematicians from academia and industry engage participants with a problem-solving approach to math education. See last summer’s schedule for more information about workshop activities. Will the workshop content be applicable to my teaching? Yes, definitely! Participants will receive guidance, materials, and resources to promote open-ended problem solving as a way of learning, thinking about, and practicing mathematics in the classroom. Will the workshop content be applicable to my students? Because the math is designed to challenge teachers, it may not be directly applicable to your students. However, you will learn the underlying math inherent to many basic arithmetic, geometry, and algebra ideas. You will also meet many professionals at the workshop who may be able to help you explore in depth some of the concepts you teach. What level of math proficiency do I need to be successful in the workshop? You should be comfortable with basic algebra and geometry. More importantly, you should be willing to take on problems and persist in solving them. Come prepared to stretch yourself mathematically, regardless of your mathematical background. Applications for the 2019 workshop are now open. For more information, please contact Elysée Wilson-Egolf, e.wilson-egolf () protonmail.com or (408) 350-2088. 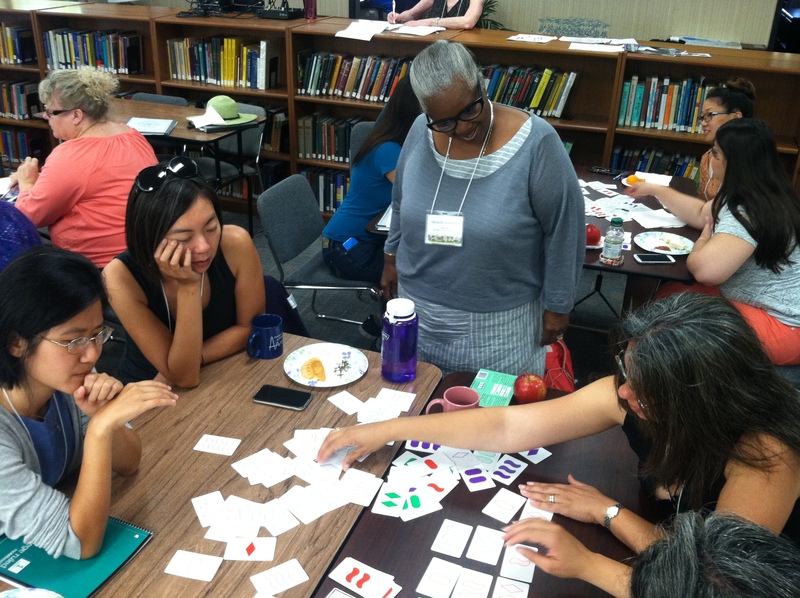 The Immersion Workshop for Teacher Leaders is intended for Bay Area math teachers who have been inspired by their Math Teachers’ Circle experience, want to deepen their understanding of mathematical problem solving, and share the experience with their students. To be eligible, you must teach mathematics in grades 4-12 in a Bay Area public or private school. You must also have previously attended a residential summer workshop at AIM or Berkeley. Up to 6 participants will be chosen based on their degree of interest in becoming engaged in a community of problem solvers and bringing the culture of problem solving to their classrooms. The workshop will take place July 8-12, 2019 at the American Institute of Mathematics (AIM) in San Jose, California. The workshop hours are 9 am to 5 pm on Monday through Thursday, and 9 am to 12 pm on Friday. Participants are lodged in the nearby DoubleTree Hotel during the workshop. During this five-day workshop, participants will meet in a supportive group environment to write curriculum materials inspired by successful Math Teachers’ Circle sessions. Experienced leaders will guide teachers through the process of testing, refining, and publishing their materials.